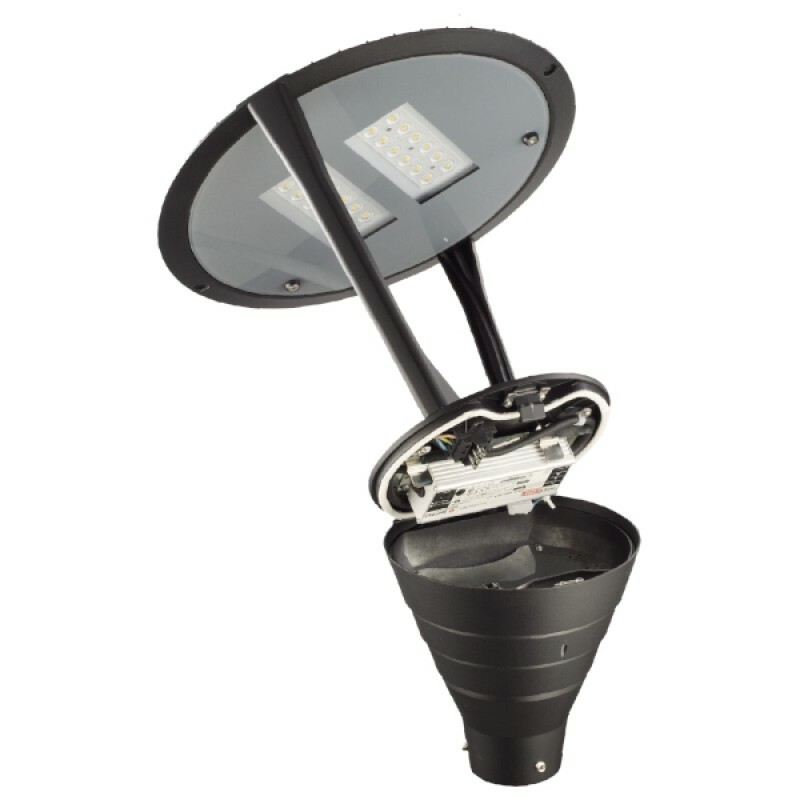 The Premium series post-top is a modern designed LED luminaire for column/post mounting at heights of 3 - 8m, suited to general open areas such as pedestrian areas, car parks and low-to-medium traffic urban applications. 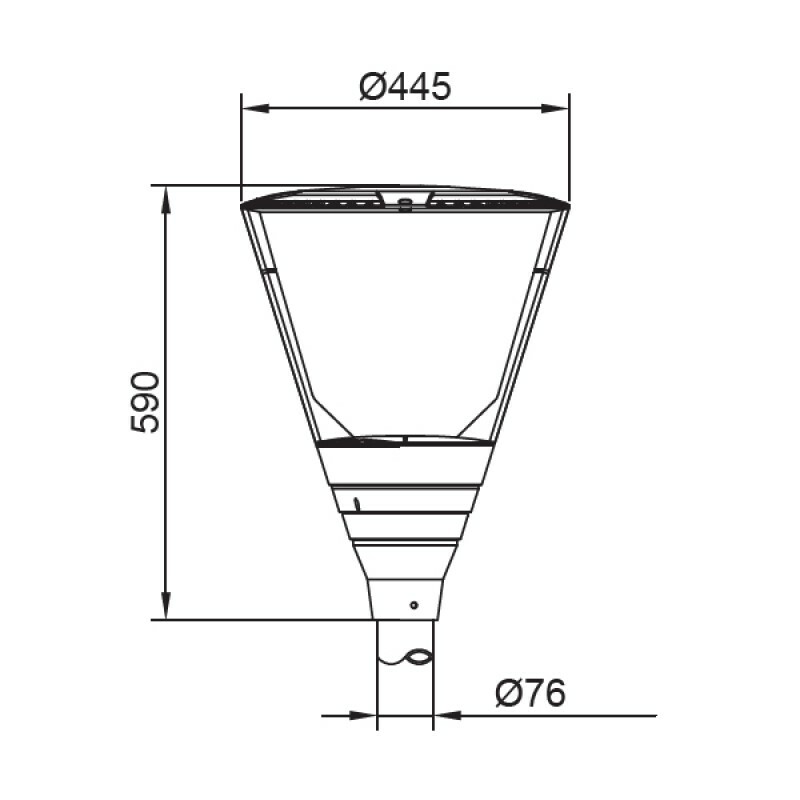 IP66 RAL Black die-cast housing finished and 150° x 150° optic gives an all round uniform illumination with minimal light spillage, capable for reaching 20-30lux from typical 5-6m installations. 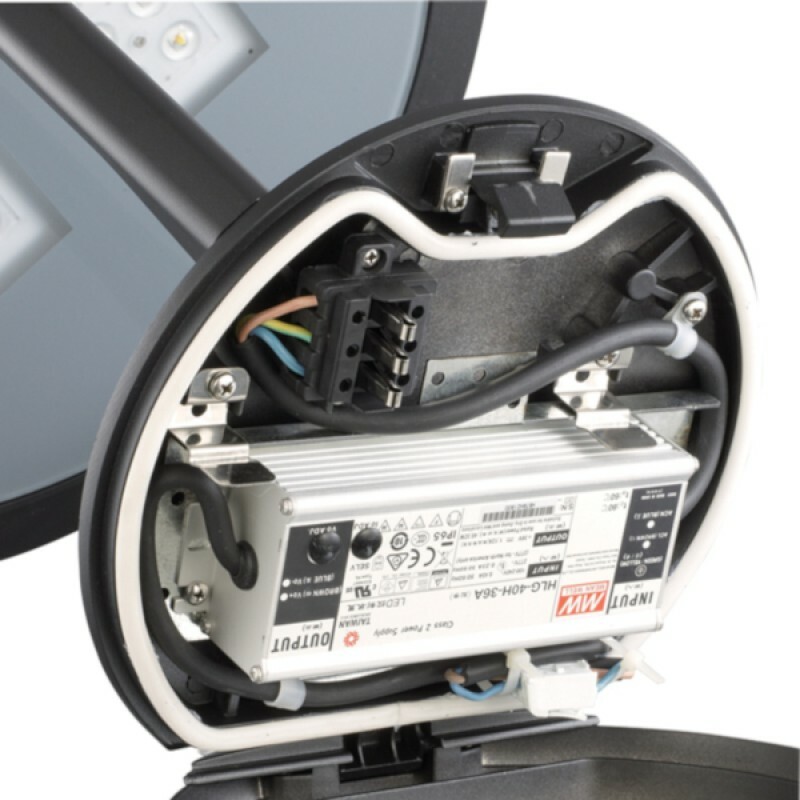 Furthermore, the luminaire is compatible with standard external mains photocells for complete dusk-till-dawn control. The unit is complete with a base mount suitable for 76mm post top column-entry, hence it's universally compatible. 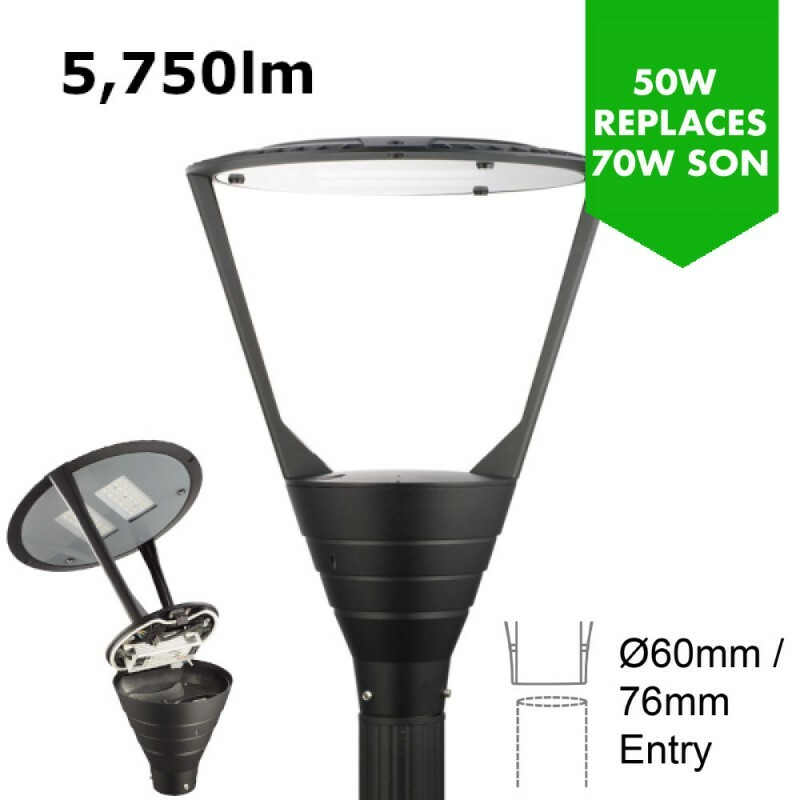 Additional benefits include a 115lm/W efficacy, +55,000 hour maintenance free performance and minimal disturbance to nocturnal wildlife to the lack of UV/IR spectrum associated with LED photo-metric characteristics. 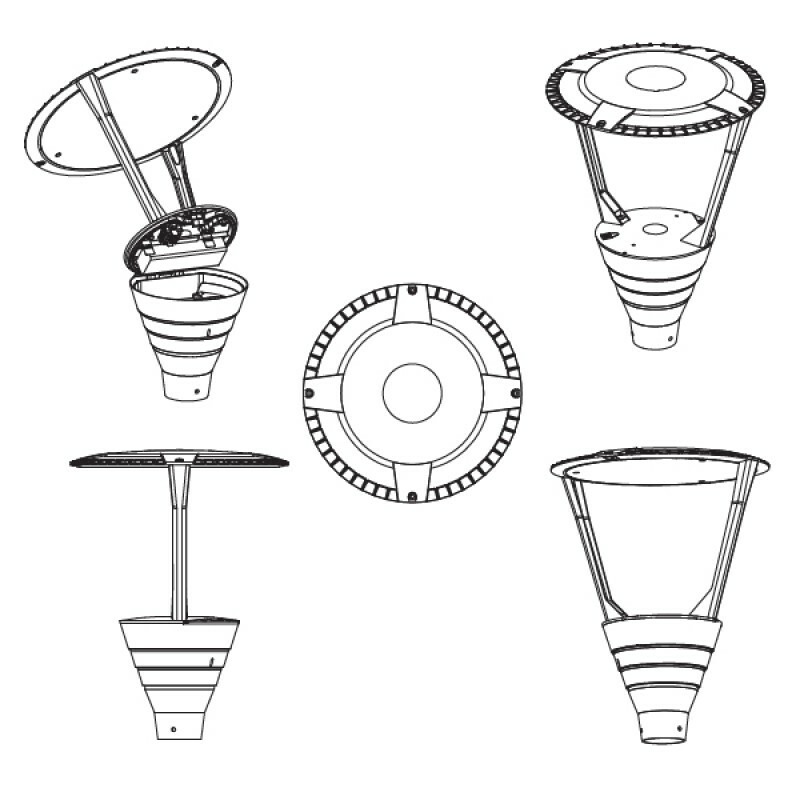 An optional 3-pin NEMA socket available in the drop down menu for compatibility with photocells.